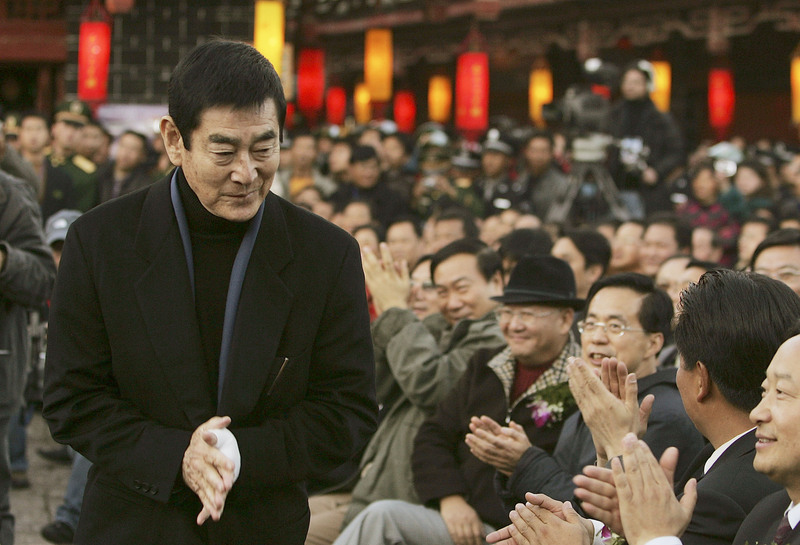 We have some sad news to report, veteran Japanese actor Ken Takakura has died at 83 years old, according to BBC News. While news of his death came out on Tuesday, the actor reportedly passed away on Monday, Nov. 10. Takakura isn't as well known in America as he is in Japan, but he has been called Japan's "Clint Eastwood" for his many tough guy roles. If you haven't seen Takakura in action, he leaves behind a legacy of many film credits. To western audiences, the actor made a name for himself by starring with Michael Douglas in Black Rain, in addition to working with Robert Mitchum in The Yakuza and Tom Selleck in Mr. Baseball. As for his Japanese screen credits, those include Abashiri Prison, The Yellow Handkerchief, The Railway Man, and Chinese director Zhang Yimou's 2005 film Riding Alone for Thousands of Miles. Takakura also found fame as the "awkward guy" in a 1984 TV commercial for life insurance, where he famously said: "I'm an awkward guy." Takakura made quite the impact in the entertainment industry all over the globe. He's even said to be "one of Japan's greatest actors." To friends and fans, he was known as "Ken-San," and many are taking to social media to express their condolences. Per BBC News, Japanese actor Takafumi Sasano tweeted that his dream of working with Takakura would "never come true." As for Tadanobu Asano, known for his roles in Electric Dragon 80.000 V and Marvel action movie Thor, shared on Twitter: "Rest in peace. This makes me so sad. Thank you so much." Takakura truly was seen as one of the greats. According to BBC News, one paper, The Mainichi Shimbun, went as far to say he "represented the self-denying stoicism and generosity of spirit which resonated with Japanese audiences." I'll leave you with this clip featuring Douglas and Takakura in Black Rain.